Did you forego your New Year’s Resolution already? Oh don’t worry, us too. That’s typically what happens when you find yourself staring at a pie full of chocolate. In other news, this is the second “January Pie Club” post we’ve created! It seems a little mind blowing that it has been an entire year since we created this pie devoted blog, and it’s a bit laughable to look back at last year’s January post. I like to think we’ve come a long way in a year. Another change from last year is the addition of a Pie Club member with a January birthday. 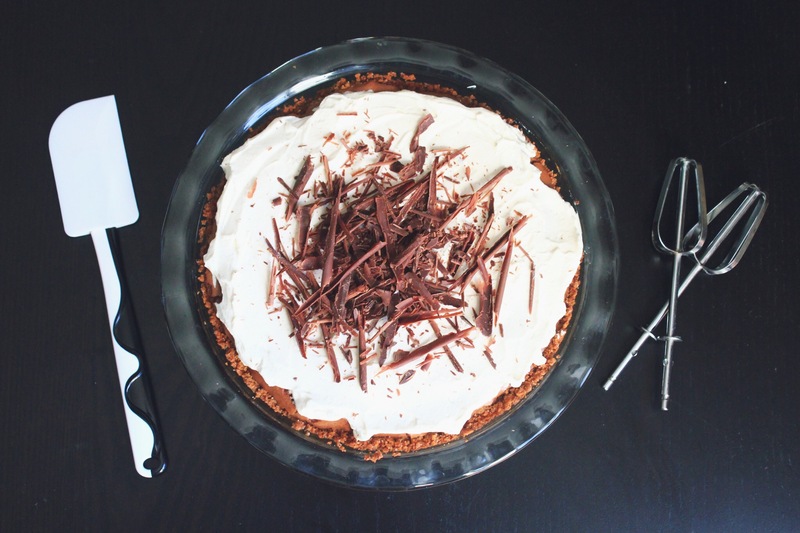 Ryanne naturally chose a southern treat for this month’s pie. This Mississippi Mud Pie is a deliciously simple combination that undeniably pairs well with lots of red wine. Stay tuned for next month when we’ll be celebrating Abby’s 25th birthday! In the meantime, if all the pink and red hearts in the stores are starting to make you a little nauseous, remember our Valentine’s Day motto: Pies before Guys. Wow this looks so delicious. I really love your blog!